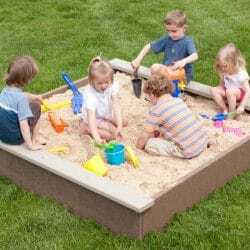 Add the Sandbox Activity Panel to the Sandbox for increased learning and fun in your outdoor classroom. The activity panel provides three different tubes and chutes for the sand to travel down and fill containers below. Children will enjoy making predictions and experimenting with the various options and sharing their discoveries. 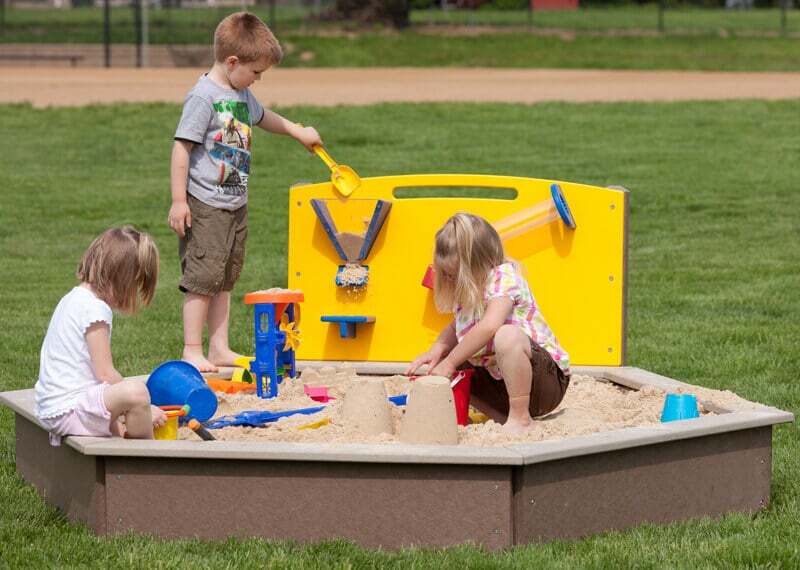 Pouring sand through the tubes and chutes also allows children to observe and demonstrate directional words – in, out, on, off, here, there, etc.